A dispatch software has always been the best companion for field service or delivery businesses to streamline and manage their operations. And, today, trucking dispatch software has become ever more indispensable in meeting the rising demands of same-day delivery. A routing program can help you plan fuel-efficient routes, monitor drivers, update customers about their delivery statuses, and more besides. All of which can make same-day delivery seamless. So let’s learn more about how schedule optimization software can help you. Same-day delivery means that you have to deliver quickly, and thus you need to plan routes faster. Route optimization software makes this possible. Route planner software will help you plan 100% accurate, well-optimized and fuel-efficient routes in just 30 seconds. All the routes will also be free from traffic, bad weather conditions, left turns, and other constraints that can delay or slow down your deliveries. You literally don’t need to put in any effort. You just need to add or upload the list of customer addresses, and then set a few constraints or parameters as per your preferences, such as enabling the turn restriction feature to avoid U-turns or left turns, or setting up avoidance zones for the truck map software to consider. The vehicle routing software will then take care of the rest from route planning to the equal distribution of the workload among your drivers. That’s it. You’ll no longer spend hours mapping routes and updating your drivers about them. Just imagine how many more orders you can take on and deliver in the amount of time saved by a multiple destination route planner. The best part is that, if you go for a web-based multi-stop route planner, you don’t even need to worry about installing and maintaining the tool either. The software will be in the cloud, and everything will be taken care of by the provider. 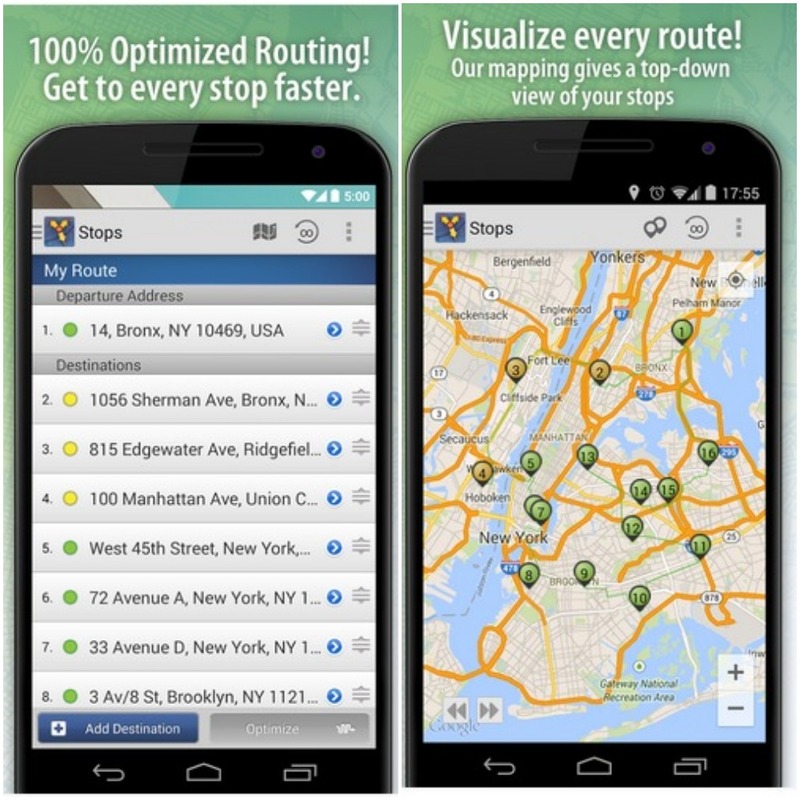 You can access the route optimizer app from anywhere and at any time, and will pay only for what you use. Read the following article to learn more about how a SaaS map route planner can benefit your business. Planning doesn’t make money; it’s the successful execution of the plan that brings in profits. That’s because you can’t see the effects of planning efficient routes unless your drivers follow the routes as planned. For example, what if they take longer lunch breaks? What if they make personal stops during work hours? This is why you need a route planner with a GPS tracking feature. This will not only help you see if your drivers are on schedule or wasting time, but it’ll also ensure driver safety. For example, if one of your vehicles breaks down in the middle of the road, you’ll learn about it in real time and can then send immediate roadside assistance. Also, you can set alerts for when a driver is speeding, or when a vehicle is idling for too long. However, it is recommended that you go for delivery schedule software that comes with vehicle location tracking capabilities. This will enable you to achieve both route scheduling and vehicle tracking with one software solution, without requiring additional expenses for managing two different apps. The longer you keep your customers waiting for a delivery, the more annoyed they’ll get, which won’t be good for your business. Dispatch software is a savior here. The best route planners not only ensure on-time deliveries by helping you plan efficient routes, but also offer a customer portal that allows your customers to see the latest statuses of their inbound visits. 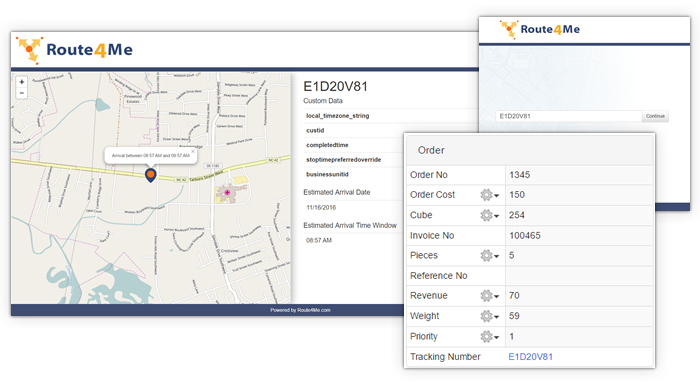 For example, Route4Me’s customer portal allows your customers to log in to the software, using a tracking number or their Account ID, to monitor the status of their inbound visit. You can even set access restrictions depending on how much information you want to reveal to them about the visit, including custom fields, driver identities, and estimated arrival times. A customer’s needs can change at any time. For example, a customer might suddenly request that a delivery be made to a different address, even though your drivers have already left for the day. And changing one address could mean messing up your entire route, especially if you plan routes with pen and paper. In such a scenario, you pretty much need to start from scratch which could take hours to get just right. So how would you get the entirely new routes ready for your drivers on time? Also, how would you go about communicating the changes to your drivers? You might consider calling them up, but that would distract your drivers from the road, which could turn out to be dangerous. A dynamic routing tool solves this problem with ease. It takes just a couple of seconds to amend and create a new route from scratch. So the re-optimization of routes will never again be a problem. Also, any changes you make to a route are automatically reflected on your drivers’ mobile apps. In this way, there’s no need to distract them with a phone call. How cool is that?! When your drivers need to make deliveries as quickly as possible, you need to wipe out all the manual processes that can eat into their time. For example, manually checking in and checking out takes up a lot of time, and delivery scheduling software can eliminate such time wastage. Dispatch software comes with geofencing technology that automatically checks drivers in and out at each stop so that they don’t need to do it manually. This will save your drivers almost 30 seconds per stop. That might not sound like a lot. But if your drivers make multiple stops each week, month and year, and you have a large operation to manage, you’ll eventually find that such a route planner for delivery drivers saves a lot of money and countless hours by automating the check-in and check-out process. Such automatic check-ins and check-outs also boost productivity as they help drivers make more stops. This ultimately means more money for your business. It also leads to improved driver safety, as the drivers won’t need to look at their phones as is common when checking in manually. So how do you manage the challenges of same-day deliveries? Have you used any dispatch software before, or are you planning to opt for one soon? Do you have any questions? Please feel free to leave your comments below. How does fleet mapping software help you ensure that your drivers follow the routes as planned? How do dispatch software keep your customers updated about the latest delivery statuses? Why should you go for a web-based route planner rather than opting for legacy software? 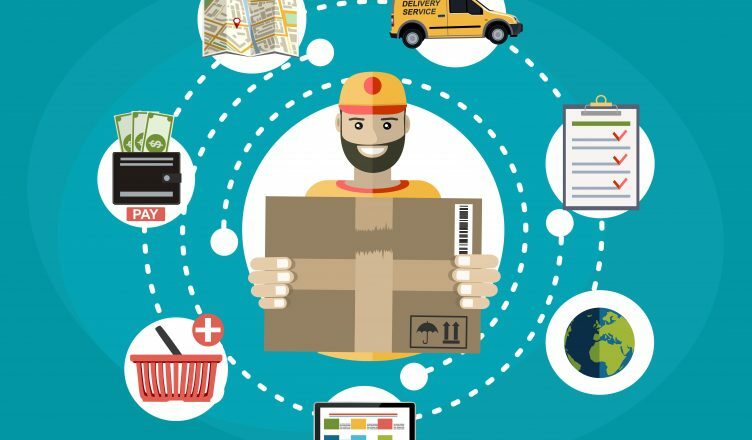 Same Day Delivery Is the New Standard In Ecommerce – Here’s Why!